Welcome to Southern Pharmaceutical Corporation. SPC began operations in May of 1993. SPC’s headquarters is located in Columbus, MS with branch locations doing business as SPC Home Medical Equipment. Our organization has grown to 10 retail locations in Mississippi, Kentucky, Louisiana, and Texas. We are a full service provider specializing diabetic supplies, home medical equipment and oxygen supplies. SPC also offers pharmacy services which include respiratory medications and complex rehab equipment. 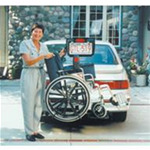 We offer a wide range of mobility products including canes, crutches, walkers and a wide selection of manual and powered wheelchairs and scooters. 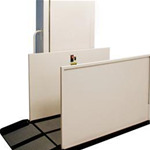 Customers with limited mobility will also benefit from our selection on ramps and bath safety products. To see a more complete list of the products we carry, please visit our online catalog. If you require a product that is not in the catalog, please contact us about special orders.